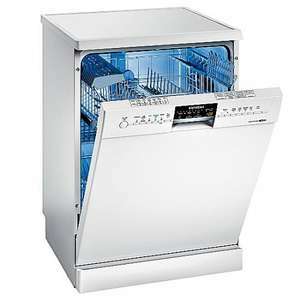 We have had our Bosch dishwasher for 13+ years but it was time for a new one as it recently became unreliable and after a £65 call out could not sort it, I was looking at £200 to repair. Was thinking of another Bosch but a bit of research showed my that Siemens and Bosch are made in the same factories and that Siemens have extra features like Aquastop as standard. I had a Bosch for years which was fantastic. When it gave up the ghost I got a Siemens. Never again. The wash is far worse, the basket layout is awful. If you can afford it the stick with a Bosch. Actually the baskets are identical. I went to see the latest Bosch and Siemens models in John Lewis before purchase. I would concede that new whitegoods generally are not as well made as previously. I've ordered one, to replace a 17 year old Bosch. Thank you! not bad but i am looking for a bosch (rave reviews) as I dpnt think the siemens is as good. Happy to stand corrected. cant you just plug it in yourself ?? or does that affect the guarantee ??? Just ordered for £333, thanks. According to this warranty offer expires tomorrow. Is it still valid if the dishwasher arrives after the 31st? Rang JL and they said you should get the warranty as long as you order by the end of today. Hope they're right!